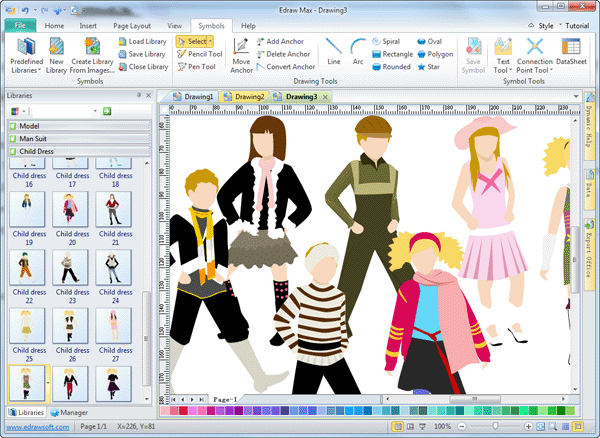 Designing clothes has become easier with the use of Edraw Max Clothing Design Software. 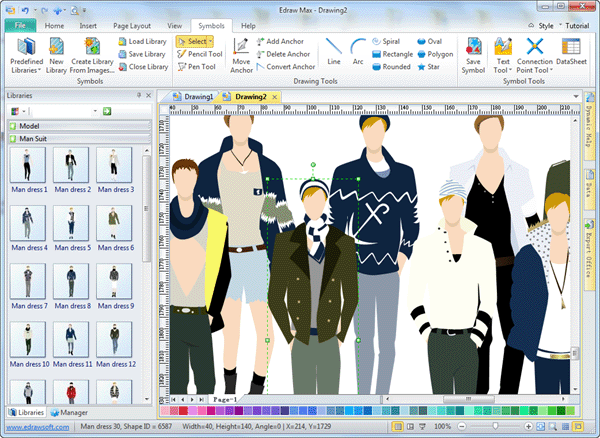 Thanks to Edraw Max, creating clothes has never been more fun. Designing dresses and costumes is an art that needs a lot of creativity. 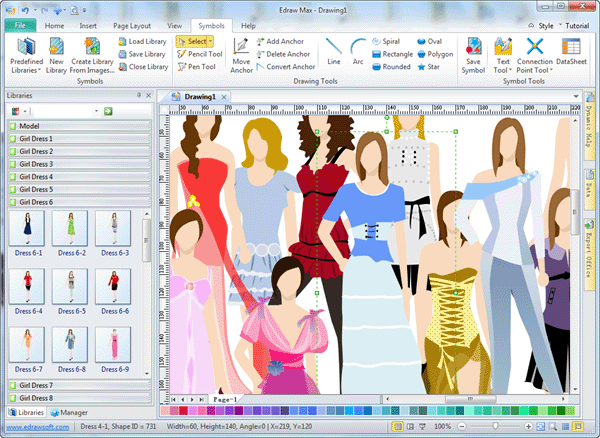 To become a famous professional designer, you must have knowledge of clothing design software. 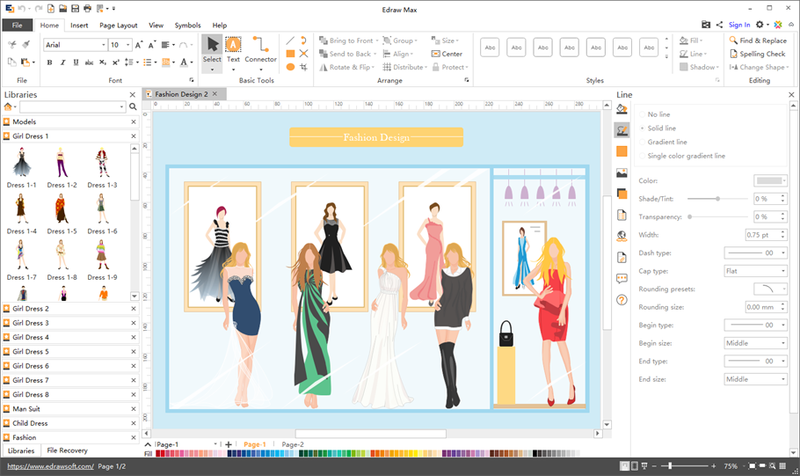 Edraw Max is such a powerful clothing design software, which gives you a wide assortment of model and clothes in a variety of colors and styles to design fashion dress. Built-in fashion symbols: design your own garments in the style that suits you. 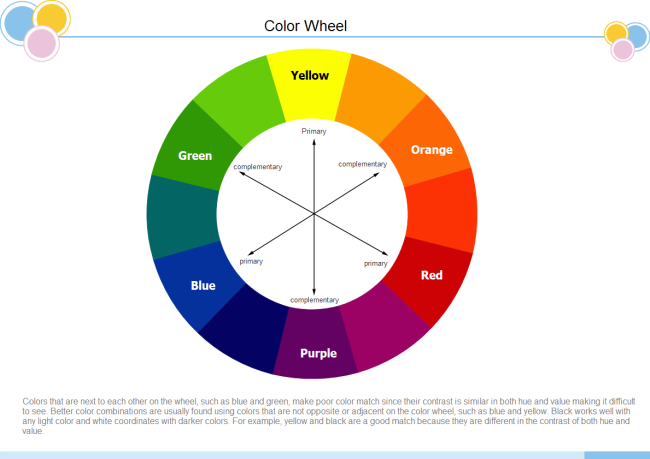 Drag and drop user-friendly interface similar with MS Word. Prepared well designed templates: it would only take a while to create stunning and charming clothes. Separable sample cloth clipart: you can choose from a variety of combinations and eventually come up with something that suits your taste.